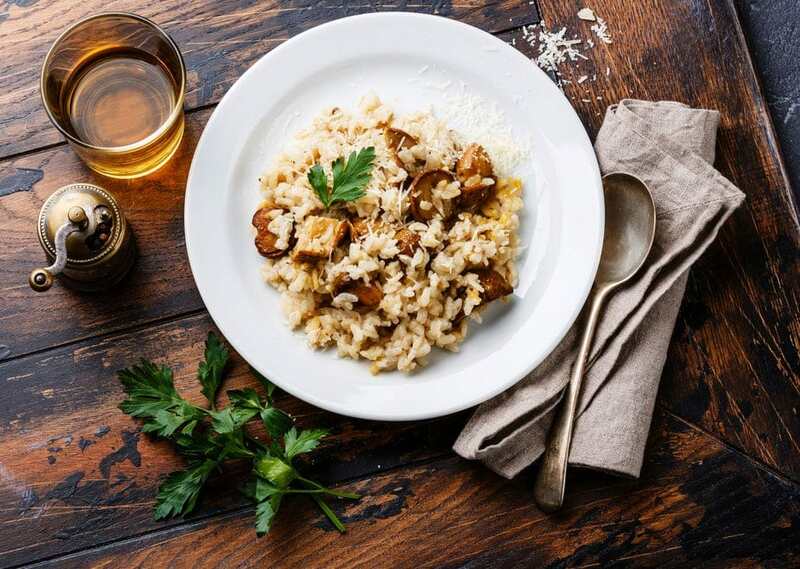 Risotto is one of the most popular ways to cook rice in Italy. In fact, all kinds of risotto dishes can be found in various regions of the country. However, it is more typically prepared in northern Italy than in other areas. 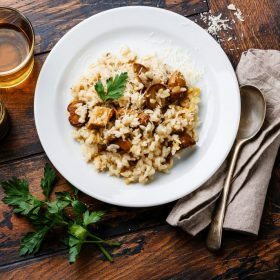 Now, one such traditional risotto dish that came from northern Italy, particularly the Piemonte and Lombardy regions, is Risotto with Porcini Mushrooms. 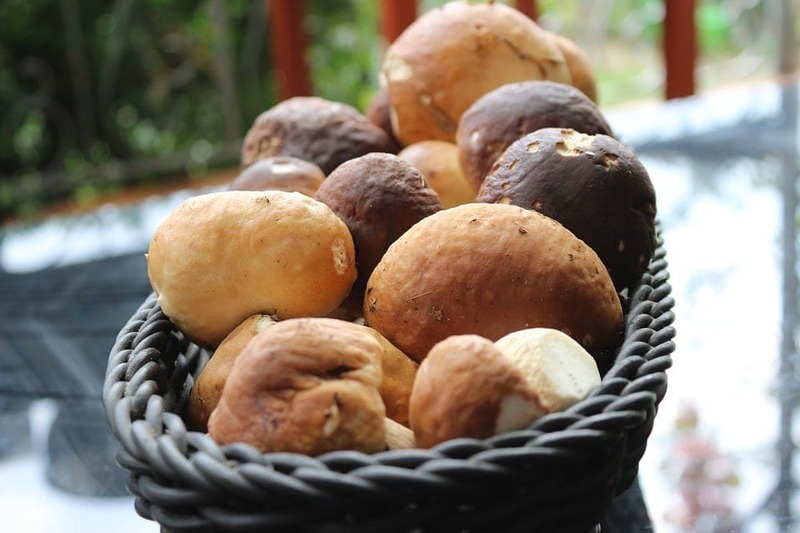 Porcini is one of the superstars of gourmet Italian cuisine and can be a delightful addition to many Italian dishes. Why? Well, because this mushroom gives dishes a rich earthy and nutty flavor while the flesh is often described as smooth and meaty. 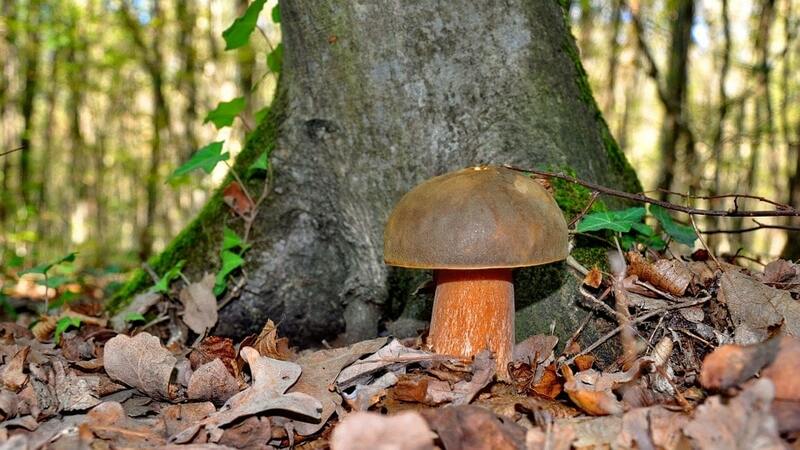 However, much like truffles, you may find porcini a bit difficult to find and purchase. You see, porcini mushrooms are typically harvested in the wild, not cultivated like champignons. This is because porcini are mycorrhizal fungi, which means they have a symbiotic relationship with woody plants. In short, they thrive best in the roots of trees. How exactly? Well, porcini mushrooms get sugar from tree roots, while tree roots get nutrients and water from the fungi. This means you need trees in order for porcini mushrooms to grow. Not only that, but they also need the right weather. First, you’d need to have dry weather, then a bit of rain, and then some warm temperature before these chubby stalked mushrooms would show up. So unless you actually live near a forest, have the right atmospheric conditions, and know how to hunt for edible mushrooms, you might find it difficult to get your hands on some porcini mushrooms. And thus, they are considered a valuable ingredient in many European dishes, especially in the gourmet scene. However, all these shouldn’t stop you from trying this risotto recipe out. Besides, we might be able to help out with getting your hands on some porcini mushrooms, if you know what I mean. Risotto with porcini mushrooms is a traditional Italian dish from northern Italy. It's a perfect dish for the end of winter, or start of autumn. Prepare the mushrooms. If you are using fresh mushrooms, make sure to clean them thoroughly. If you are using dried ones, soak them in warm water for about an hour, or at least until they are soft. Separate the caps from the stems before cutting them into slices. In a saucepan, preferably non-stick, heat the extra virgin olive oil. Next, add the crushed garlic and cook for a few minutes. Then, add the sliced porcini mushrooms and sauté in high heat for about 10 to 12 minutes. Add salt and pepper to taste. Add some vegetable broth as needed. When the mushroom is cooked, add the parsley. Set aside a portion of the cooked mushrooms for toppings. In another saucepan, melt a tablespoon of butter, and then add the onions. Cook until they’re golden brown. Add the rice, and sauté for a couple of minutes. Add 1 cup of vegetable broth in the saucepan, and cook over medium heat. Stir occasionally. Make sure it doesn’t dry out, so add more vegetable broth as needed. When you think it’s well-cooked, add the cooked mushrooms, the rest of the butter, and the Parmesan cheese. Top each serving with some of the cooked porcini mushrooms you set aside before. This dish is especially fit for welcoming the autumn season, or when you’re saying goodbye to the last days of winter. Whichever it may be, there’s no doubt that this scrumptious dish will be a big hit to your family and friends. Buon appetito! 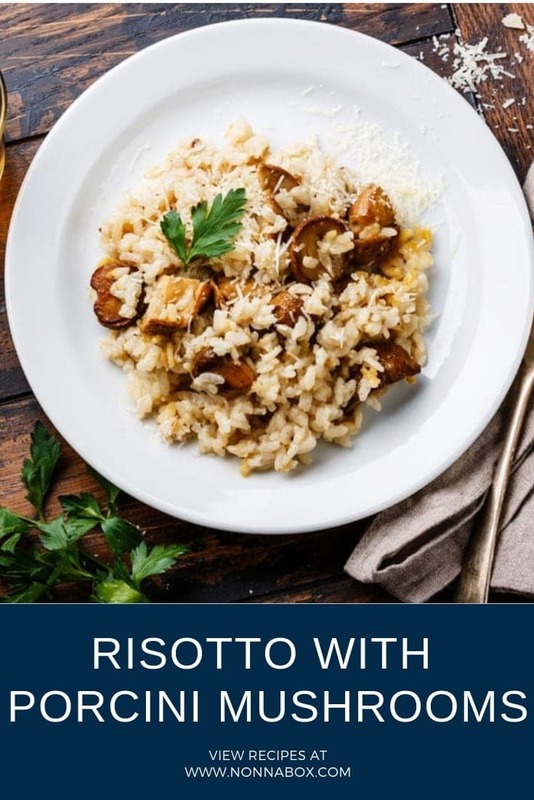 If you want to make another delicious risotto recipe, you’re welcome to check our Risotto with Saffron recipe.